Fans have been filling the bleachers at the Burt Kahn Court since the Quinnipiac volleyball team returned back to Hamden this past weekend. After going through a tough non-conference schedule to start the season, the Bobcats have been dominating MAAC play both on the road and at home. The 2016 team certainly created a lot of buzz, as the Bobcats had their most successful season in program history, finishing with 21 wins. 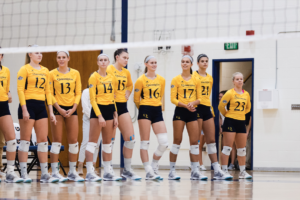 Coming off a record-breaking season, the Quinnipiac women’s volleyball team has spent the majority of its schedule thus far playing on the road. It has traveled to major tournaments in Indiana, Washington and Maryland. The start of the Bobcats season was a struggle as the team had a much more difficult schedule, facing top NCAA Division I teams in Washington State, Baylor and Towson. After the extensive road trip and halfway through the regular season, the Bobcats have already matched last year’s loss total as the team currently sits at 4-13 overall. 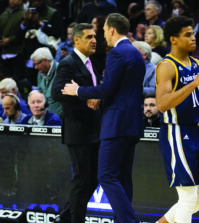 Despite what the record shows, the team says it has learned a lot from the first half of the season, playing against a variety of opponents outside of the MAAC. With all of the travel going to Indiana, Washington and Baltimore, it hasn’t been easy for the Bobcats to find time for practice either. Add on a a new bunch of teammates to replace the few that graduated, and it makes for a slow start. 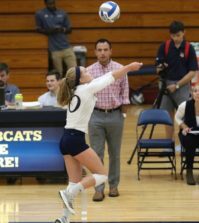 Although the Bobcats had most of their key players return from a year ago, the team had two huge gaps to fill as All-MAAC middle hitter Allison Leigh and defensive specialist Cody Michaels graduated. 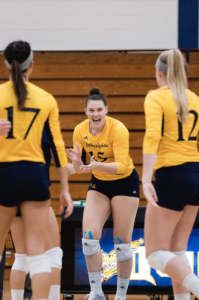 Quinnipiac head coach Kris Czaplinski looked to first-team All-MAAC outside hitter Jen Coffey and right side hitter Kat Miller to guide this team as veterans, while MAAC All-Rookie selections Natalie Alechko, Maria Pansari and Alejandra Rodriguez have bigger roles this season as well. 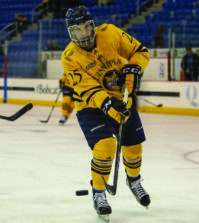 The team finally settled back into the Quinnipiac community with a week off before its first home game of the season against Saint Peter’s. Prior to the match, Czaplisnki was confident in his team despite the little time they had to practice. 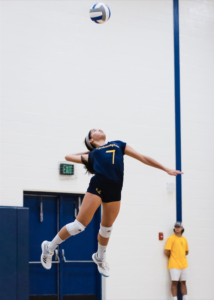 In their first two games playing back at home, the Bobcats dominated the winless Saint Peter’s Peacocks in three sets on Saturday and defeated Rider in four sets on Sunday, improving to 3-1 in MAAC play and 4-13 overall. The Bobcats have 14 more games to prove why they are the best in conference, and will play half of the matches at home. And while the team is 3-1 since entering MAAC play, there is always plenty of room for improvement. On Wednesday, the Bobcats resume MAAC play and look to win their third straight match at home against Siena.